I don’t have enough time in the day to get everything I need to done. That’s the cry of so many leaders out there. You’ve probably uttered those words as well. 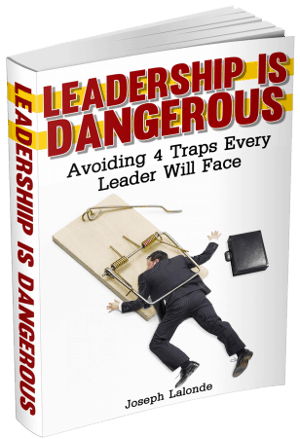 You feel overwhelmed by all the responsibilities of your leadership role. I’ve got a little something for you today. You can get more done by doing less. Today’s post is going to seem counter-intuitive until you digest what I say. Yet I truly believe we can get more done by doing less. We’ve been led to believe we need to pack our days full of activity. If there’s an empty spot in your day, you have to fill it. But that’s hogwash. You know it. I know it. The world knows it. Yet we still strive to fill our days with task upon task. This is the myth of Do More. The Do More myth tells us that we’re not complete if we’re not doing something. It also tells us that we won’t get everything we need done, done if we’re not doing everything. I know this. I’ve tried to add more to my schedule only to find out I’m not getting everything done. Then small tasks begin to slip by the wayside. Then larger and larger tasks until I feel like I’m getting NOTHING done. To get more done, you have to be intentional where you spend your time. You can get easily distracted and find out that you’re so far down a rabbit hole you haven’t accomplished anything you set out to do. Stop logging into Facebook or Twitter during your work hours. Turn off your cell phone notifications. Close the doors. Find ways to limit the distractions that bring you MORE to do but lessens the effectiveness of what you do. You may find yourself swamped because you’ve taken on responsibilities you don’t need to have. Take a quick gander at your to-do list. What’s on the list? Activities that don’t really require your attention. Find those time-sucking activities and delegate them to someone else. I can already hear the groans… Saying no is hard. Seeing an opportunity perks your ears and makes you want to say yes, I’ll do it! I want to help. But that doesn’t improve your ability to get work done. Instead, saying yes bogs you down with one more responsibility. You have to discipline yourself to only take on high-value projects that only you can do. By doing these 3 things, you can get more done. And each thing you do will be of higher value. 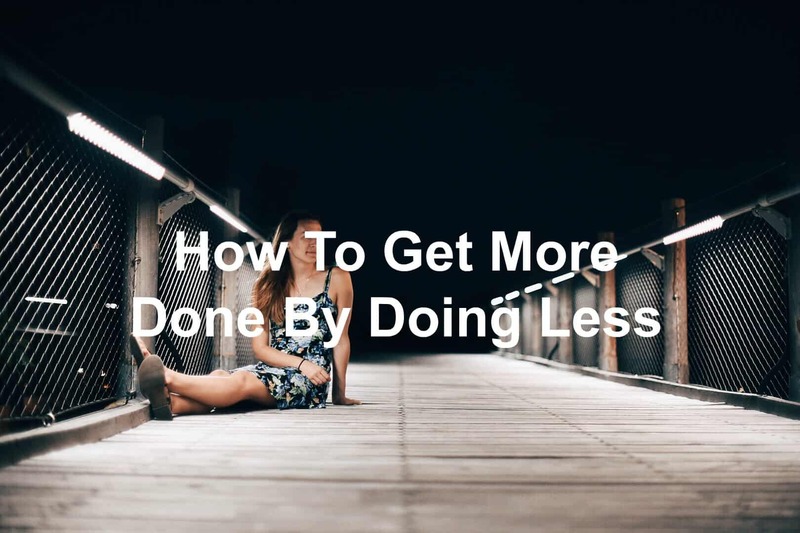 Question: How do you get more done by doing less? Share your thoughts in the comment section below.